2017 was a good year for mobile users in the United States - Verizon launched its unlimited data plan, T-Mobile responded by one-upping its costs, AT&T followed two weeks later, and Sprint went one step further with prompting users to switch from Big Red. But the Unlimited 4G revolution came at a price - speeds went south. 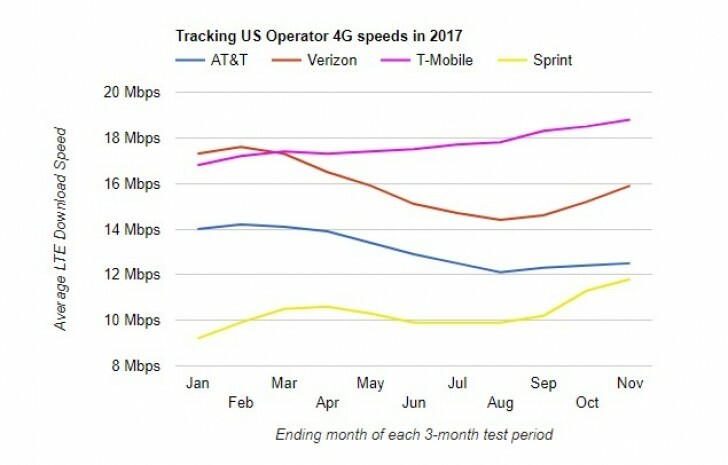 The situation improved in the three-month period, ending in November 2017, where all four major carriers saw LTE speeds improve, even if AT&T and Verizon are still struggling to reach their initial speeds. 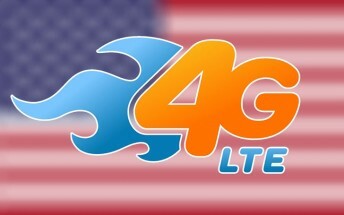 August saw all-time low 4G speeds for AT&T and Verizon with respectively 12.1 Mbps and 14.4 Mbps. Sprint, on the contrary, managed to average 11.8 Mbps in November, more than 2 Mbps faster than its speeds in February. And while these three were trying to keep up, T-Mobile solidified its lead. It's yet to be seen if carriers can push speeds even higher. AT&T might decide to withdraw from the race completely and concentrate on providing true 5G, as it promised earlier this month.